Dana Point is one of Orange County's oldest cities located along the coast of southern California. Dana Point was once known for having large surf, nicknaming the city 'Killer Dana' by surfers in the 1970s. Now there is a beautiful harbor where the large waves used to crash, enjoyed throughout the year by residents. Dana Point is now known for having a boat harbor and exceptional state parks like Doheny State Park which is located on the coast. The area of Monarch Beach in Dana Point has extraordinary ocean view residences and impeccably crafted luxury homes that offer amenity-rich, resort-style living. 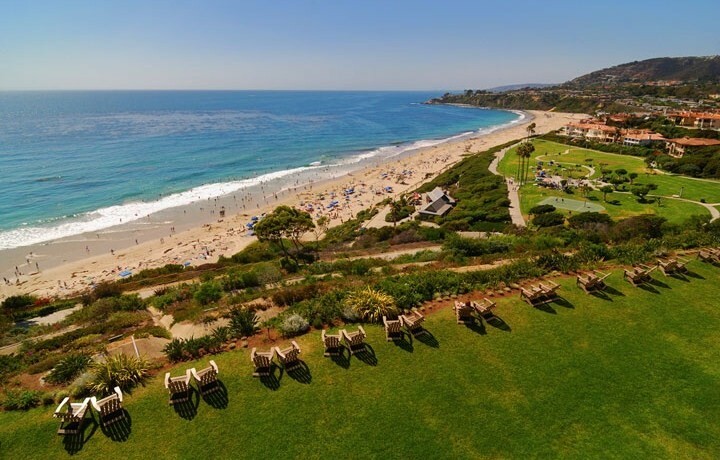 The area is also known for having world-renowned hotels like The Monarch Beach Resort and The Ritz Carlton. The city is characterized by nearly seven miles of prominent coastal bluffs and rolling hills along the Pacific Ocean. The most noteworthy of these bluffs is a promontory known as the “Headlands” which overlooks Dana Point Harbor. Recently that area has been developed into a luxury home community named The Strand At Headlands with homes ranging into the multi million range. The city is a great option for home buyers looking for a coastal community in southern California that won't cost them an arm and a leg. Dana Point and San Clemente are both considered to be the cheaper coastal cities in Orange County to buy a home. Below are all the homes currently for sale in Dana Point. Dana Point has 5 different areas which are named Lantern Village, Del Obispo, Capistrano Beach, Dana Hills, and Monarch Beach. Below you can see a basic description for each area. To view homes for sale in each area click on they're names below. The Lantern Village is one of the oldest areas of Dana Point. This is considered the downtown part of the city. Many of the streets are named a color followed by 'lantern', like sliver lantern or blue lantern. This is because colored lanterns were used by ships 200 years ago to advertise their fares when pulled into the Dana Point natural harbor. The area has many triplexes and four-plexes as well as single family homes and condos. There are also a few ocean view gated communities like Waterford Pointe, and Lantern Bay Estates. This area of Dana Point is located along the San Juan Creek river which spills out into the pacific ocean. This area of the city has traditional sized homes with wide streets. Most of the homes in this area were built in the 1960's and 80's. This area is also where the Dana Point harbor and Doheny State Beach/Park is located. There are both single family homes and condos available in Del Obispo. The Capistrano Beach area is another of the oldest areas in Dana Point. Home development in this area began as late as 1920's. There is a wide array of homes in this area including, single family homes, condos, beach bungalows, triplexes, multi-unit buildings, and even mansions. One of Dana Point's notable bluffs is located in Capistrano Beach. Large estate style homes are build along the bluff to take advantage of the great ocean, Catalina Island, and harbor views. The area of Dana Hills is the area farthest to the east in the city. This area is known for being the family oriented part of the city and is also where the Dana Point High School is located. Homes in this area were mostly built in the 1970s and 80s. There are both single family homes and condos available in Dana Hills. The Monarch Beach area is where you will find some of the largest and more expensive homes in Dana Point. This area is located in the northern part of the city along the coast. There are numerous gated communities in the area and many exclusive neighborhoods. This area is also home to the luxury resorts of St. Regis Monarch Beach and Ritz Carlton Monarch Beach. The area has large estate homes and luxury condos available. Notable neighborhoods include the gated communities of Niguel Shores, and The Strand At Headlands. For more information on Dana Point homes for sale please contact Scott Bingham today at 949-412-3515.